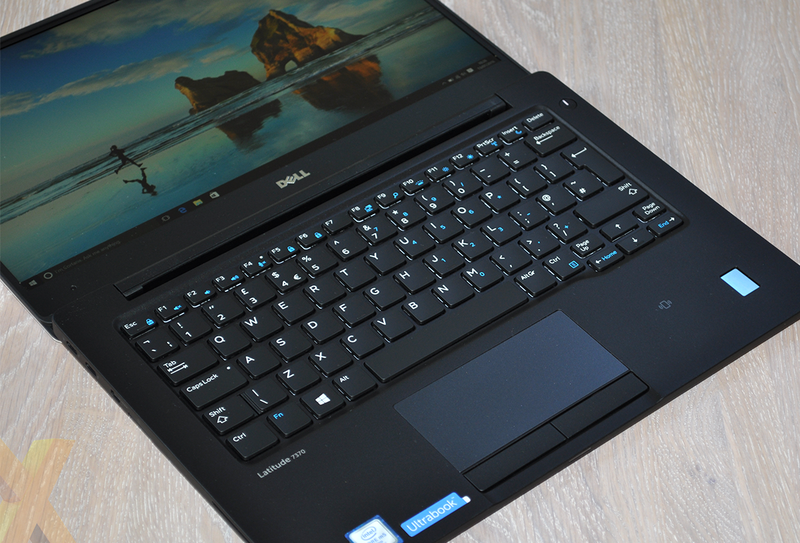 Dell's XPS 13 can be considered one of the most desirable 13in laptops launched in recent years, and going by past experience, the larger XPS 15 is rather tasty, too. A beautiful InfinityEdge display is part of the appeal, yet while the XPS series has plenty of wow factor, they might not do enough to prevent corporate types from steering toward the favoured ThinkPad. 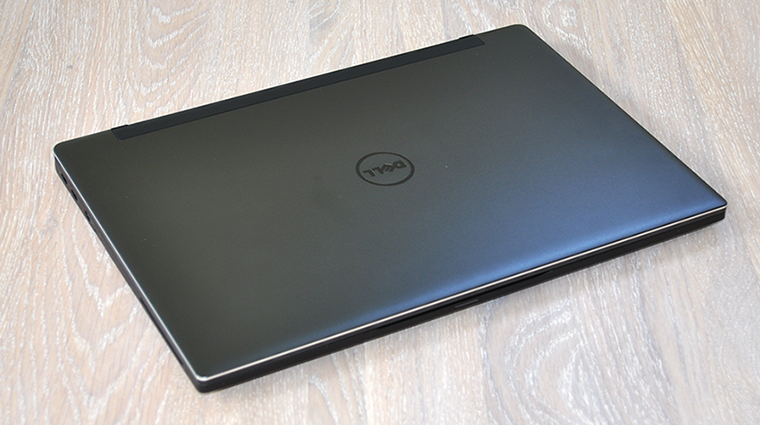 What Dell needs, then, is an XPS 13 alternative that's been given a business-centric makeover. Enter the Latitude 13 7370. 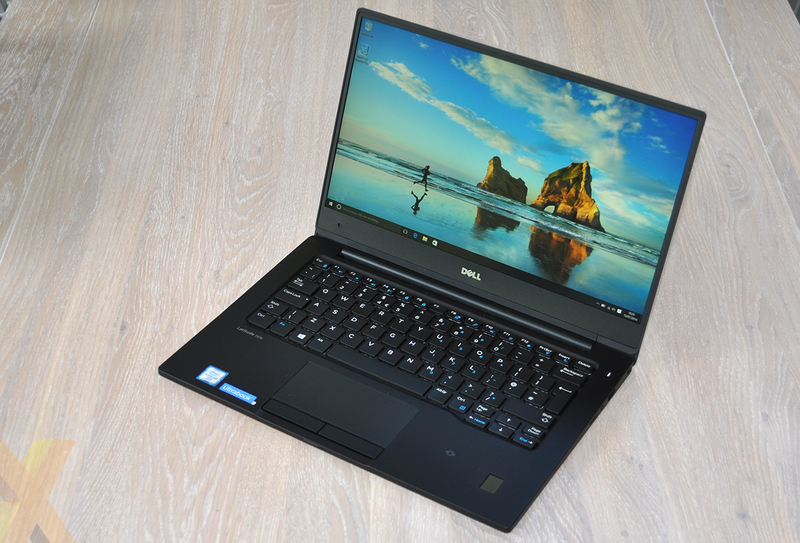 Priced from £1,299 inc. VAT, the revamped Latitude 13 takes a lot of what's good about the XPS 13 and repurposes it in a flavour that Dell reckons is better suited to business users. 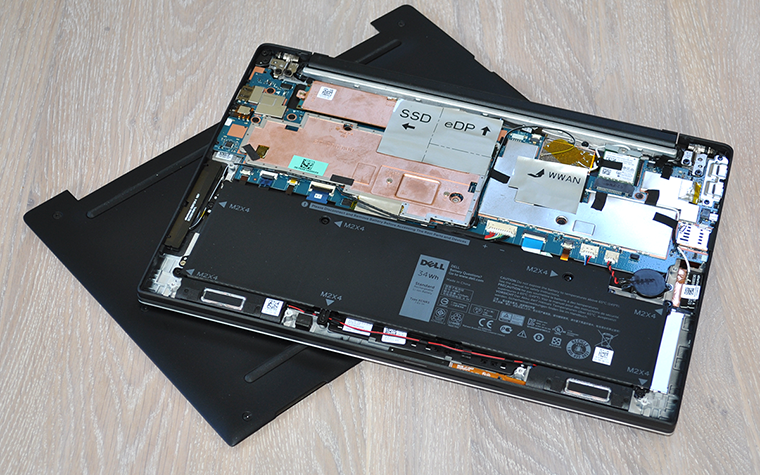 Measuring 305mm x 211mm x 14.3mm in size, this compact Ultrabook is similar in stature but manages to shave off a small amount of weight, down from 1.2kg for the XPS 13 to 1.12kg for the Latitude. There's little in it from a form-factor perspective, however the Latitude does look and feel more businesslike. The aluminium lid offers excellent rigidity, the matte finish on the keyboard tray feels lovely to the touch, and two rubber strips on the underside help keep the system planted. It's a good-looking thing, and rather than focus on eye-catching aesthetics, Dell concentrates on the little things that matter. The rubber tips on the back of the display hinge, for example, catch the desk as you push back the screen, lifting the keyboard to a suitable angle without making any noise. Portability is one the Latitude 13 7370's greatest strengths, however performance isn't likely to be as impressive. Whereas the XPS 13 is available with a choice of powerful Core i-series processors, the Latitude has been swapped over to Core m-series chips that are less potent but more efficient. An odd choice for the target business user? Perhaps, but the use of Intel's frugal CPU is what makes the system thinner, lighter and completely fanless. What hasn't changed is the choice of display. Latitude 13 champions the InfinityEdge offering with a choice of two panels; an FHD (1,920x1,080) non-touchscreen in most configurations; or a QHD+ (3,200x1,800) touchscreen in the range-topping model. Both prioritise productivity with a useful anti-glare coating, and the latter, priced at £1,680, includes a carbon-fibre display lid that further reduces overall weight. The FHD panel on our review sample is a fine choice, though one area in which the InfinityEdge implementation favours form over function is the webcam - in keeping with the XPS 13, it's underneath the display at an angle that isn't ideal for conference calls. 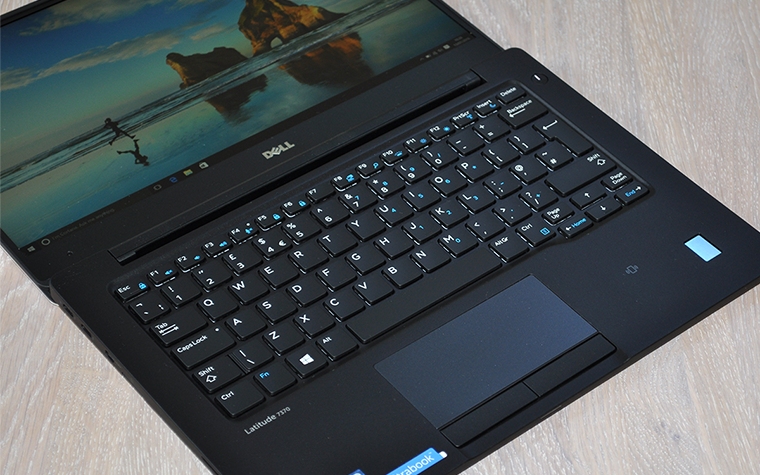 It's in the keyboard and trackpad area that the Latitude 13 stands out from its XPS sibling. Taking a more ThinkPad-like approach, the Latitude keyboard offers an improved amount of travel, slightly contoured keycaps and a white-LED backlight throughout. The differences are small but noticeable, and as a ThinkPad X1 Carbon owner, I feel confident in stating that the Latitude 13 is the next best thing. There's no TrackPoint, of course, but Dell's trackpad is perfectly decent. Unlike most consumer offerings, the two accompanying buttons are independent for ease of use, and both are cushioned really well - they feel precise as they actuate, yet you can barely hear them. Standard ports include a microSD card reader, audio jack, USB 3.0 and Kensington lock on the laptop's right edge, while the left side is home to a smartcard slot, a micro-SIM slot, micro HDMI output and two Thunderbolt 3 Type-C connectors. The latter duo are forward-looking and can be used to attach anything from external docks to daisy-chained displays, yet do note that one also doubles as the laptop's power connector, leaving just the one Type-C connector and a single USB 3.0 Type-A when the system is plugged-in at the wall. Wireless AC and Bluetooth 4.1 are of course included as standard, and for the business crowd there's a healthy list of available options that include a touch fingerprint reader and contactless NFC smart card. The Latitude 13 has the makings of an impressive machine, yet questions remain over the potency of the underlying hardware. Our review configuration, priced at £1,390 inc. VAT, is home to an Intel Core m5-6Y57 processor with integrated HD 515 graphics, 8GB of soldered dual-channel LPDDR3 memory and a 256GB Toshiba NVMe M.2 SSD. The dual-core, quad-thread Intel chip can hit 2.8GHz, however a 1.1GHz base frequency suggests that expectations should be kept in check and though the processor's 4.5W TDP bodes well for longevity, the 34Wh battery isn't particularly big. Plenty of food for thought, but if your company isn't buying, cost is likely to be the biggest hurdle. 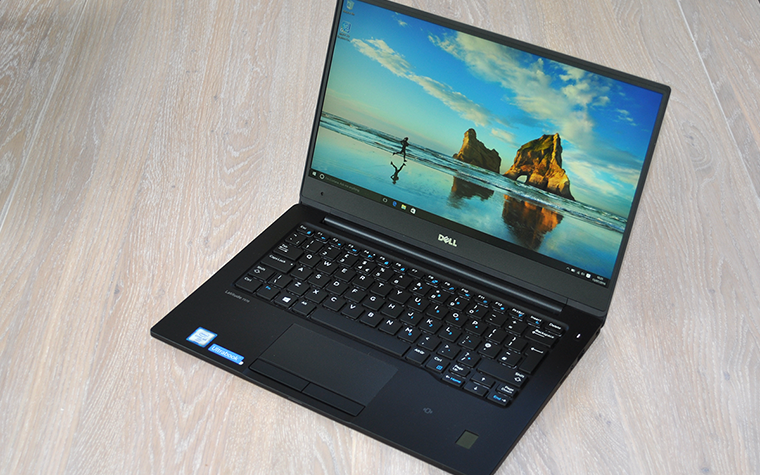 Latitude 13 7370 fetches a premium over the similar the XPS 13, and that alone could be too much to stomach when you consider the lower-performance CPU options. On the other hand, if reliability is paramount, the Latitude is built to last and passes military-grade MIL-STD 810G testing, its keyboard and trackpad are built to ISO standards, there's no unwanted bloatware, and the entire machine is backed by a three-year ProSupport warranty promising on-site service for the next business day.